Anda Amed Resort is a boutique hotel is located 2.5 hours drive from Bali International Airport and is within an hour’s drive from Candidasa. The resort is perched on hill with breathtaking views of the ocean from your room and in the station. Creates a peaceful and comfortable atmosphere romantic moments during your vacation in Amed in the east of Bali. Services Oriented staff of the hotel adds another experiment of hiding on vacation. Anda Amed Resort is ideal for travelers wishing to relax and completely unwind in a quiet neighborhood. Amed is one of the tourist area of Bali and is known as the best diving, with its colorful underwater world. It covers about 10 km along the west beach Tulamben and Seraya, to the east. 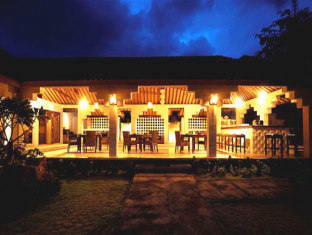 Anda Amed Resort has a combination of modern and contemporary Balinese architecture. The blend harmoniously with the natural beauty of its surroundings. The resort offers a one-bedroom villa and the villa of the family. Each villa has a private garden and ocean views. The rooms are equipped with individually controlled air conditioning, private bathroom, mosquito net, private dining terrace, TV, DVD, water, heat and cold, and minibars. The Restuarant Anda Indonesia and Asian dishes. The resort also offers special tours diving around Tulamben and Amed.